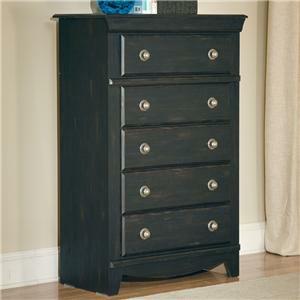 Spruce up your bedroom with this transitional chest of drawers. 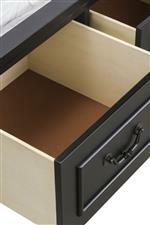 Great for extra storage, the top felt lined drawer is exceptional when it comes to storing precious items and valuables. 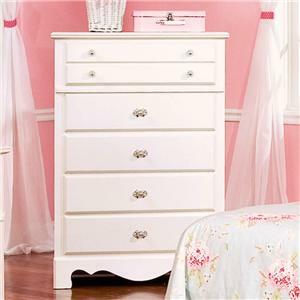 Flexible in its style, this chest of drawers can fit right in with a variety of bedrooms, children or adult. 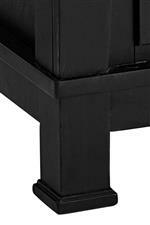 In a mix of casual and traditional, the square legs with block wood and wide flat pilasters are handsome and cozy. 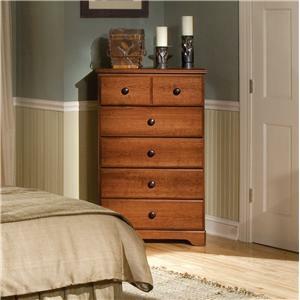 The Annapolis Transitional 5 Drawer Chest with Felt Lined Top Drawer by Standard Furniture at Carolina Direct in the Greenville, Spartanburg, Anderson, Upstate, Simpsonville, Clemson, SC area. Product availability may vary. Contact us for the most current availability on this product. Furnish your bedroom with this suave and snug collection. The dark set mixes traditional and casual elements to create an exquisite and versatile transitional style that's fit for youth, master, and guest bedrooms. 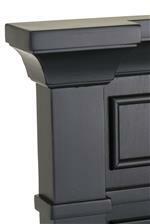 The darker coloration adds an atmosphere of sophistication and poise with its flat mantle style crowns, square legs, and flat pilasters. The Annapolis collection is a great option if you are looking for Transitional furniture in the Greenville, Spartanburg, Anderson, Upstate, Simpsonville, Clemson, SC area. 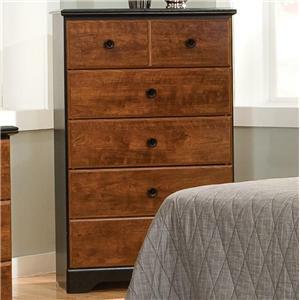 Browse other items in the Annapolis collection from Carolina Direct in the Greenville, Spartanburg, Anderson, Upstate, Simpsonville, Clemson, SC area.